You may suppose that time is only passing away, and not understand that time never arrives. Although understanding itself is time, understanding does not depend on its own arrival. 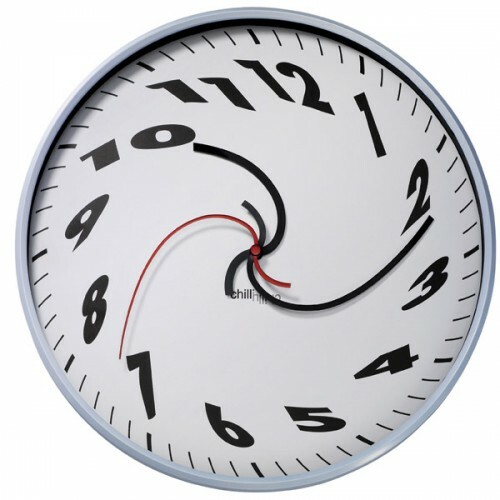 People only see time's coming and going, and do not thoroughly understand that the time-being abides in each moment. from Zen Master Dogen's essay "Being Time"
The problem with time is that it appears to be moving in a certain direction. That is, until we will it, through things like Daylight Savings Time, to move the opposite way. And of, people tend to think they know what time is. As if the question "What is time?" never occurred to them. Whatever it is, there's clearly constant change in the relative, everyday world. Certainly, this body of "mine" has grown, and gotten older over the last thirty six years. And when I look around, everything else has shifted as well, even if only in tiny ways. But it's not the whole story. How could it be? The thing is, each of us is a "time-being" in each moment. Inside the movement of life is also a timelessness not separate from that movement. I think a lot of the resistance I feel to whatever is happening in the now comes from forgetting this timelessness. Being disembodied in some manner or another. Literally out of touch. That's about all I have to say at this time. This reminds me that when I am seriously depressed, I do not feel as bad while meditating. So, something there about being in a more spacious place than this body/mind, maybe. No comments, view, or opinions at this time. "Of course there are very many people who consider that the life of humanity is not proceeding in the way in which according to their views it ought to go. And they invent various theories which in their opinion ought to change the whole life of humanity. One invents one theory. Another immediately invents a contradictory theory. And both expect everyone to believe them. And many people indeed do believe either one or the other. Life naturally takes its own course but people do not stop believing in their own or other people's theories and they believe that it is possible to do something. All these theories are certainly quite fantastic, chiefly because they do not take into account the most important thing, namely, the subordinate part which humanity and organic life play in the world process. Intellectual theories put man in the center of everything; everything exists for him, the sun, the stars, the moon, the earth. They even forget man's relative size, his nothingness, his transient existence, and other things. They assert that a man if he wishes is able to change his whole life, that is, to organize his life on rational principles. And all the time new theories appear evoking in their turn opposing theories; and all these theories and the struggle between them undoubtedly constitute one of the forces which keep humanity in the state in which it is at present. Besides, all these theories for general welfare and general equality are not only unrealizable, but they would be fatal if they were realized. Everything in nature has its aim and its purpose, both the inequality of man and his suffering. To destroy inequality would mean destroying the possibility of evolution. To destroy suffering would mean, first, destroying a whole series of perceptions for which man exists, and second, the destruction of the 'shock,' that is to say, the force which alone can change the situation. And thus it is with all intellectual theories. "Are we able to say for instance that life is governed by a group of conscious people? Where are they? Who are they? We see exactly the opposite: that life is governed by those who are the least conscious, by those who are most asleep. "Are we able to say that we observe in life a preponderance of the best, the strongest, and the most courageous elements? Nothing of the sort. On the contrary we see a preponderance of vulgarity and stupidity of all kinds. "Are we able to say that aspirations towards unity, towards unification, can be observed in life? Nothing of the kind of course. We only see new divisions, new hostility, new misunderstandings. "So that in the actual situation of humanity there is nothing that points to evolution proceeding. On the contrary when we compare humanity with a man we quite clearly see a growth of personality at the cost of essence, that is, a growth of the artificial, the unreal, and what is foreign, at the cost of the natural, the real, and what is one's own. "Together with this we see a growth of automatism. "Contemporary culture requires automatons. And people are undoubtedly losing their acquired habits of independence and turning into automatons, into parts of machines. It is impossible to say where is the end of all this and where the way out— or whether there is an end and a way out. One thing alone is certain, that man's slavery grows and increases. Man is becoming a willing slave. He no longer needs chains. He begins to grow fond of his slavery, to be proud of it. And this is the most terrible thing that can happen to a man. Nice post, you are right that one should be aware of his timeless nature while living in the confined spaces created by time. Thought is time. This space is created by thought. Usually any people are occupied either in the past hurts or future worries. Nobody seems to be living in the present. Present moment is timeless. Thanks for sharing your insights on Zen. Great blog! I love the clock image. It reminds us that time is fluid, not as rigid as we like to think. Meditation certainly has its own time frame, the time that is beyond time.